Five years after they built it, James and Ashleigh Latimore of Murrumbateman, NSW put their Paal home on the market and sold it at full price within a week. “We held a weekend Open on Saturday and Sunday – and the offer was made on the Tuesday,” said James. Before this very successful outcome, the couple had ordered a thorough building inspection for interested buyers, to alleviate any concerns about purchasing an owner-built kit home. The property’s exceptional resale value was related to the care taken with the build and Paal’s collaborative approach. Back in 2012, James and Ashleigh had a clear vision of the home they wanted. After doing their research, the couple turned to Paal, whom they found were more than open to new ideas. The Latimores wanted a country-style home for their acreage, yet with a contemporary layout to suit modern family life. 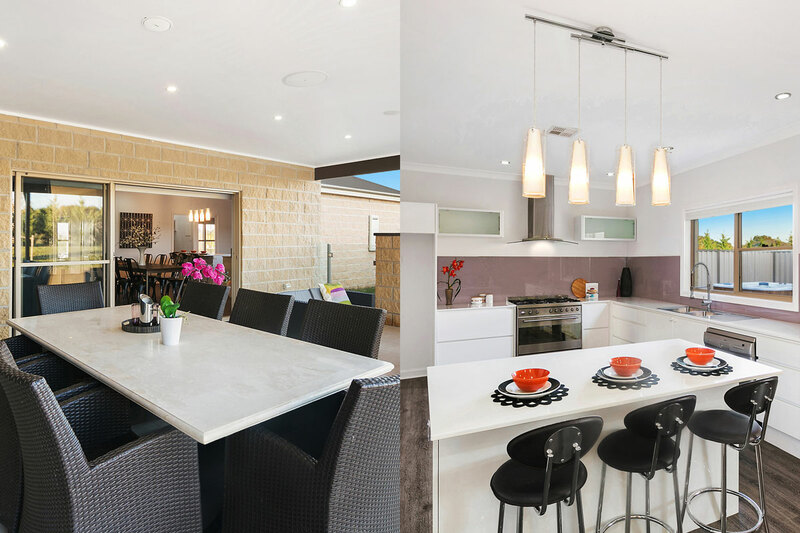 By melding the front of Paal’s Hawkesbury design with the rear of the Robertson, they achieved exactly that: a charming home with a chic and modern interior, offering space, versatility and a great indoor/outdoor living combination. “We found Paal to be quite flexible in terms of modifying their design to achieve what we wanted,” James said. One important modification was the addition of an alfresco area off the main living space. “For us, this added such a dimension to the house, because we had the living areas inside and outside, and could converse between the two,” he said. Ashleigh and James had only ever renovated before, but found the building process to be problem-free. If any issues arose, help from Paal was only a phone call away. “I had a few questions and they were really good in that regard,” James said. Now five years later, the couple have reaped the benefit of working with Paal and building themselves a quality home that sold quickly and easily.